Emerson Enterprises is proud to be an Owens Corning Preferred Contractor, and knows that when you invest in a roof made with Owens Corning products, you will be providing your home with the best possible protection and style in Kansas City. With the Owens Corning roofing system of products, your home will be in good hands from day one, and will last for many years to come. Engineered with longevity and durability in mind, the Owens Corning line of roofing materials is built to seal, defend, and breathe. Working together to give you the roof of your dreams, these products are ideal for homes looking to get the most out of their roofing system. 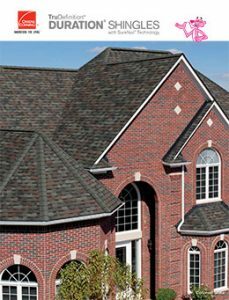 Owens Corning knows that it takes more than just shingles to protect your home, which is why their Total Protection Roofing System is perfect for any home or structure looking to increase the value of their roof. Created with layers of components designed to help your home succeed, Owens Corning only provides the best of the best when it comes to roofing products. 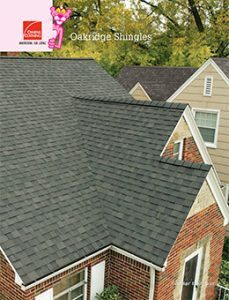 Owens Corning begins each roofing project with materials that help to seal your home, and protect it from moisture and the damage that comes from it. This system blocks water from seeping into the home, causing ice dams, and supports regular water flow away from your home. By using WeatherLock Flex Flexible Self-Sealing Ice and Water Barrier along with Deck Defense Roof Underlayment, your home will stay protected for a lifetime. Once your home is sealed, Owens Corning products take protection to the next level by defending it from the elements. 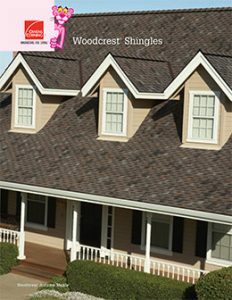 With state of the art shingles such as the Duration Series and even Hip and Ridge, your home’s Owen Corning shingles will be a tough, yet beautiful, layer of defense against damaging weather and pests. 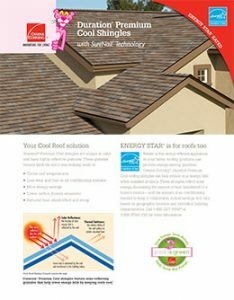 Owens Corning also has product options when it comes to helping your roof breathe with the proper ventilation. With options for both Intake Ventilation and Exhaust Ventilation, Owens Corning has you covered when it comes to keeping your structure balanced. When choosing the building products for your next roofing project, opt for the Owens Corning system of protection and longevity that will help your home stay safe and beautiful for years to come.